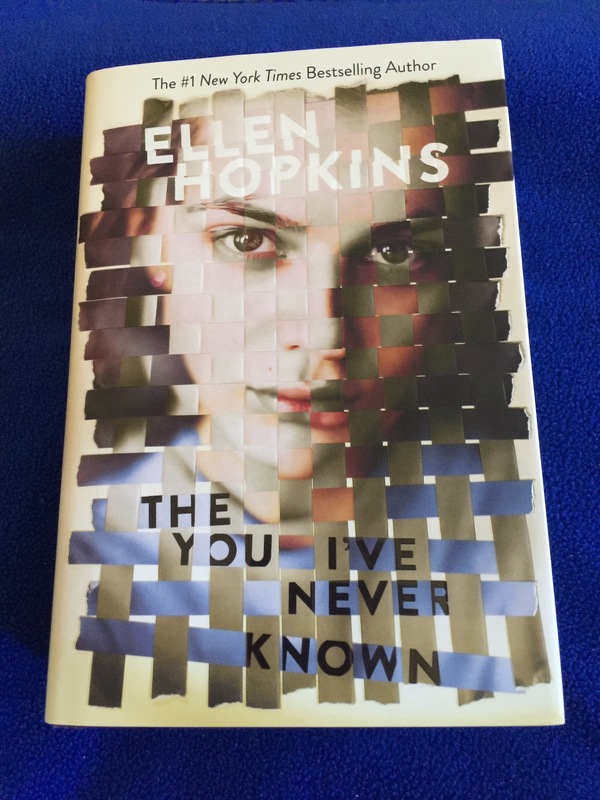 Ellen Hopkins never disappoints and The You I’ve Never Known is her best yet. This thick tome follows the story of Ariel and her journey coming to terms with her sexuality. Her father is a mechanic who has quite the temper and paranoia of them living anywhere for, too long of a time. Ariel wonders why they don’t stay in any place very long. That is until they land in Sonora, CA. With her new home comes making new friends with Monica and Gabe. Ariel has never had a boyfriend before and she’s not sure if she just might like girls. Monica is a closet lesbian and Gabe is the cute nephew of her dad’s current girlfriend. Ariel is leery to open herself to having friends since her dad always would yank her away to live in a new place. When Gabe and Ariel discover one of Ariel’s rich classmates injured in a horseback ridding incident Ariel is in the lime light for saving her classmate’s life. Her dad is livid because the media is involved and that was one of his big rules. Don’t talk to or be seen by cops and don’t be interviewed. Why not Ariel has no clue why he’s so paranoid. Growing up Ariel’s dad told her how her mom abandoned them to run off with her lesbian lover. Seeds of hate and distrust have been sown since Ariel was little. Sure she’d love to have a mother figure in her life. Every time they live with a new girlfriend of her dads a part of Ariel hopes this one will stick, but they never stay around long enough. Will Ariel ever have a mother figure in her life? Will her mom ever reappear? Why has her dad kept them moving from place to place for her whole life? Can Ariel start to establish roots in Sonora? Read this gripping book and find out.